If you are about to begin a major home renovation, or may be finding your next home is taking a little longer than it should, or perhaps you need to free up some extra space at home for the time being, then you can rely on us to provide you with the most effective and affordable storage service around. Our storage service in London is available to both commercial and residential customers, the service is available for short term storage as well as long term storage. We guarantee to provide you with adequate and competitive pricing for both, for the entire duration of the service. Our storage facilities are safe and secured, we guarantee no harm or damage will reach your valuable belongings while they are with us. You will find our specialised storage facility in London to be of great convenience as we can safely store your valuable items or equipment in clean, secured storage facilities without costing you a small fortune. We understand that many customers need to relocate or store items and belongings which require specialised storage conditions. This will be no problem for us, as we have access to a number of secured storage facilities around London, some of them temperature controlled. The storage facilities or warehouses we use, are under twenty four hour security and surveillance, and have restricted public access. Storage cells or containers are fire and water proof. We guarantee that your items will be labelled, numbered and given a designated storage area, this way misplacing or losing the stuff is impossible, which means extra peace of mind for our customers. If you are too busy to pack and label your items, we can do this for you – our packing and collection or delivery service is the ideal solution. 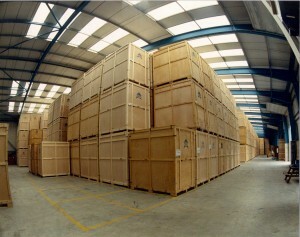 Our London based storage offering is also quite flexible and very convenient. Generally we offer customers two storage options – you can either have full time access to your items and belongings which are neatly and safely kept in individual storage cells for the time being, or you can simply have your items stored and then delivered after a short period of time straight to your new home or office address. Both storage options are quite reasonably priced and will not be a burden for your budget. If you have specific requirements, or additional concerns to do with our storage service, please be sure to discuss those with us, and we will do our best to meet your requirements without additional costs or extra fuss. Our storage services can be requested independently, in other words you don’t have to be moving places in order to use our storage service. We will pack everything properly and label and number each box, bag or package you need to store. Our teams will visit you in a suitable time to pick up the stuff and take it away for storage. We can do the same when you need the items back. If necessary, we will visit you for a viewing and determine how much storage space you require according to the items in question. This will save you more money from booking unnecessary large amounts of storage space. We are fully licensed and have complete trade insurance for customer peace of mind. London is the biggest city of Britain. A thriving commercial and residential hub, it also is among the world’s most visited tourist destinations. How could it be any different, when sights such as the London Eye, Buckingham Palace, Tate Modern and Kew Gardens are nothing more than the tip of the iceberg when it comes to major landmarks on the territory of London. Make sure to go out and explore what the city has to offer.